Home / Food and Nutrition / Can Dogs Eat Apricots? Are they Good or Bad for Dogs? Can dogs eat apricots? Is it safe to feed my dog with them? One of the most important thing you need to provide your dog as a strict and devoted dog owner is a good and balanced food diet. It means you need to be 100% aware of both: what your dog loves eating and what is good for your dog to eat, concerning facts like health benefits, risks for the health of a certain treat occasionally and etc. Here is where we need to speak about the misunderstanding about the variety of food products in a dog’s food diet. Unlike humans, who might feel some huge boredom if eating the same products for their entire lives, dogs don’t mind to eat the same things all the time. Moreover – if certain foods, including specialized manufactured processed dog foods are loved by your puppy, he would be really happy to eat it till the end of its days. As long as the food is high quality, rich in nutritive and important vitamins, minerals and fibres, the dog food brand you have selected and prefer is ok to be bought on a regular basis. Don’t worry, your dog is not going to hate it or to get bored of it. Yet, it is always good to offer something new to your canine fellow, especially if it is beneficial for the health, suitable for treating (like after bathroom or during training exercise at the outdoors). It goes the same for products that are more likely to be eaten by us, humans. Because, there are many food types you can feed your dog with, even though they are more of human’s. Fruits are such foods by the way. Yes, it is allowed for a dog owner to feed his or her puppy with fruits. But attention: not all of the fruits are suitable for a dog and not all fruits can be given in any quantity per day as you wish. Ok, let’s talk about apricots in general at first. These are very delicious and healthy fruits most human know and like to add as a desert or in salads, processed meals, jars and in the form of pastry or juice, too. Apricots are very similar to melons and to peaches, but they are not that juicy. They are very popular as dried fruits snacks and they are rich in many beneficial and healthy agents that both: humans and animals can appreciate. Apricots are popular with the big amount of vitamin A and C they contain. These make them superb antioxidants. As antioxidants apricots remove the free radicals from body and boost the immune system. In general, apricots are not dangerous for a dog. However, you need to know that it is only about the fruits. You have to stay away from seeds, pits and leaves. These parts of the apricot plant are dangerous for your dog. They can cause your canine fellow some serious health issued, including cyanide poisoning. If by some chance, your dog has eaten of apricot seeds, pits or leaves, immediately take it to the local vet. The first signs of the cyanide poisoning appear almost at once: right after 15 minutes you will observe numerous symptoms, including difficulty in breathing, dilated pupils, bright red gums and mucous membranes, panting, lethargy and fatigue. Shock and even death are very possible to happen after cyanide poisoning. How much apricots are ok for a dog? 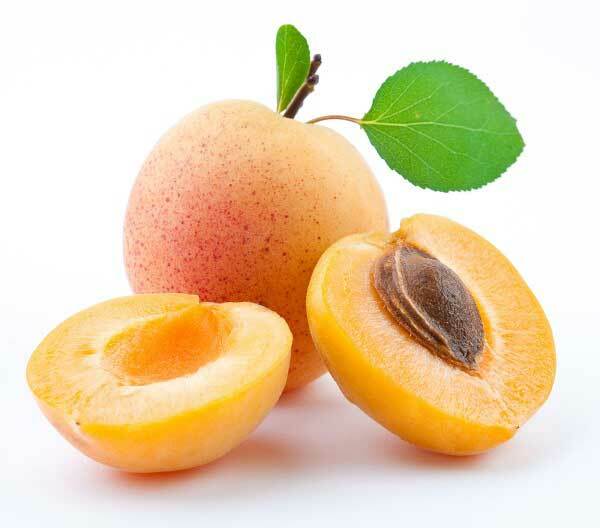 But apricot fruits can be also harmful for a dog, if given in a big amount. This is why you need to test your dog tastes in advance? Start with a little amount of the fruit – half a fresh apricot fruit or just a slice of a dried apricot. Then, observe the behaviour of your dog during the next 24 hours. If there is no change in its health condition, your puppy must love apricots and you can feed it. However, don’t exceed the amount of 1-2 apricots per day. Otherwise, some bad health consequences might happen. First of all, glucose level and diabetes signs might appear. Second of all, fibres can lead to diarrheic conditions. Last, but not least, if any intestines problems or lethargy condition appear 24 hours after your first attempt to feed your dog with apricots, don’t repeat it. These are signs that your canine fellow just doesn’t like apricots. And, of-course, depending on the severity of the situation and the symptoms that your dog exhibits, you should get them immediate professional care if they need it. Dogs can be actually allergic to apricots. And they will show signs of such an allergic reaction quite soon after tasting the fruit. If such dogs have been fed a large amount of apricots they need all the help they can get, real fast, otherwise this can turn into a life-threatening situation in no time. Vomiting, cough and even wheezing, as well as rash on the skin can also appear as bad signs that your dog actually won’t share your love to these types of fresh or dried fruits. Apricots are not so allergic, but if a dog doesn’t like it, you will definitely see it. However, we recommend you not to give up on the idea to treat your dog with some fruits. If apricots are not ok for your puppy, you can try with other fruits till you find the right one for it. 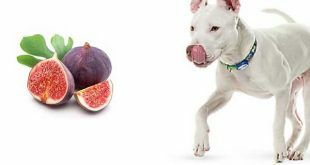 Eventually, you will find the right fruits your dog will love and be happy to eat for a balanced and healthy food diet that is full of vitamins and fibres. How apricots can be beneficial for your dog’s health? We have said that mainly, apricots are beneficial with their fibres, Potassium, vitamins A and C. Fibres collaborate with the natural sugars in apricots to boost the metabolism and to form a healthy diet for your dog. Just note that natural sugars aren’t the same as sugar in processed sweets we buy in the store. The processed food sugars are harmful and full of empty calories. They don’t do anything good for your health. On the other side, natural sugars give a lot of energy for your dog. It is very important for dogs that are more active and need to be vigorous whether during a certain season or period of their growth, or if they are sports, professionally trained dogs. Potassium, on the other side, helps regulation of blood pressure and keeping it on a safe and stable level. But there is a big BUT here. This doesn’t mean that you’re free to feed your dog a whole stash of apricots in hopes of solving their blood pressure problem if they have one. Doing so will potentially kill your dog. You should always talk to your veterinarian for proper advice to solve your dog’s high blood pressure problem, as anything such as apricots is only a small complement to the puzzle. In addition to these, the vitamins and the minerals in apricots are known to have cardiovascular benefits when it comes to humans, and can offer the same for your dog. What are the most beneficial apricots for a dog? Unlike most fruits that are more beneficial if they are fresh, apricots are truly healthy if being served in dried condition, too. The dried apricots are very energetic and sweet for both: a dog or a human and they can quickly set you up. Yet, if the apricots are fresh, you will provide you dog with all of the benefits we have discussed above. In the proper amount per day and per week (don’t exceed 1-2 apricots per day to avoid digestive problems in your dog), be sure that your dog will get what it has to get from a healthy fruit in general. Fruits, on the other side, are very important for all living creatures and if you succeed to make your dog to eat at least one of them – like apricots – you will boost its immune system in the right way and with no need to buy the pet some synthetic food supplements or even medical products from the drug store. Please, know that if you grow your own apricots at home, it’s the best alternative for you to teach your dog to eat them. If you have anyone, who grows them, too, don’t hesitate, but skip the fruits from the store and ask your friend or fellow for few fruits to make the feeding test. A market, where fruits can be freely offered and sold is also a cool idea to find fresh apricots with no toxins in them during growing. Always wash the fruits thoroughly before giving it to your dog to eat them. You are doing this thing, when you are eating fruits and veggies, right? Well, don’t forget to do it, when you are treating your dog apricots, too! Apricots are amazing fruits we all love and we believe that there is a big possibility for your dog to love, too. The big amount of health benefits that these fruits bring to your puppy’s health should be appreciated. Besides, apricots are some of those accessible and affordable fruits we can easily find and get in our homes on a regular basis and every spring and autumn time, so why not trying to make them parts of a healthy dog’s diet, too? Last, but not least, it is always a great pleasure to share the same food with your pet, isn’t it? Apricots might be some of those food types you can share with your own dog. Just don’t forget to follow our instructions. They are very important when it comes to safe and secured apricots feeding, when it comes to your lovely dog!